I first learned of this ten years ago when hemlocks at my first home started getting yellow and thin. Called in a tree guy and he educated me on the adelgid. Wicked little beasts. He said the only way to keep the trees alive was to spray them twice a year at specific times with dormant oil spray. I did that as the trees were an important screen. They did ok but the loss of inner needles never returned, just new outside growth. As the article states, in a forest this is not an option and the future seems bleak for these beautiful trees. Last spring I had the opportunity to hike the Cohutta Wilderness in N Georgia. A place I had backpacked several times, but not for a few years. 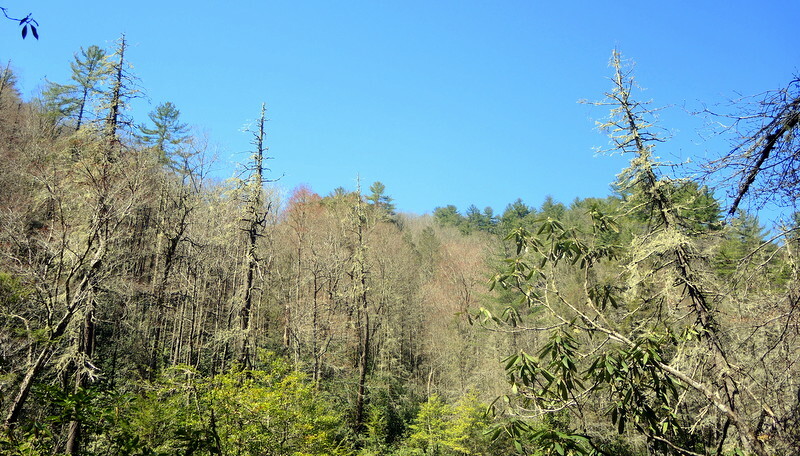 I was sad to see the damage done by the wooly adelgid, especially to some of the old growth Hemlock down there. A few weeks later I was hiking just a little further NE, Standing Indian Mt in NC. The campground ranger there told me they had lost over two hundred hemlocks. I’ve kept my eye open for them in PA and the Catskills, but fortunately haven’t come across them yet up here. I took these photos last spring while in North Carolina and Georgia. North Carolina especially has been hit really hard by the adelgid. 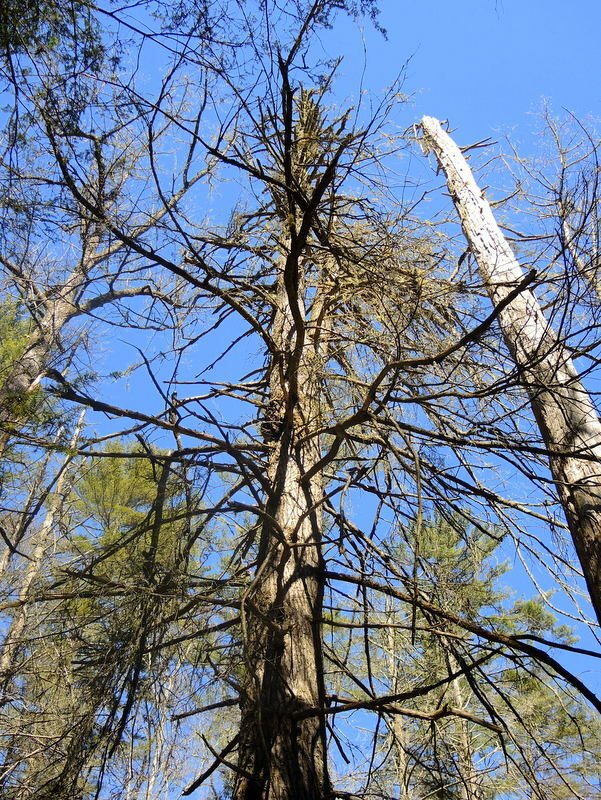 I saw very few hemlocks larger than 2 inches in diameter, or taller than 10 feet, anywhere in the backcountry. Might the recurring droughts in the SE add to this blight? I was happy to walk beneath some large and apparently healthy hemlocks along the Bisquit Brook trail this morning in the Catskills. I'm sure it doesn't help, but I don't think it is a major contributing factor. 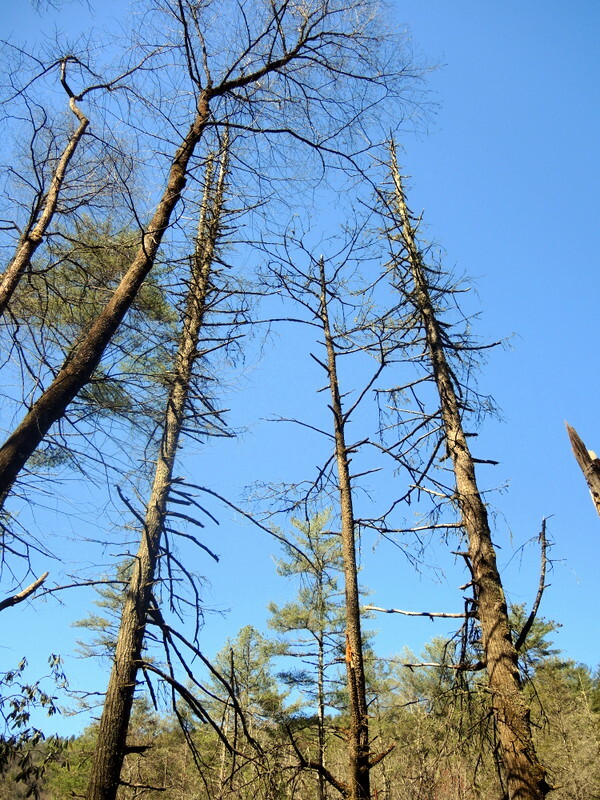 Hemlocks can be saved, but the process (injecting insecticides into each individual tree) is time-consuming and expensive, and therefore only feasible at limited scales at particular locations. 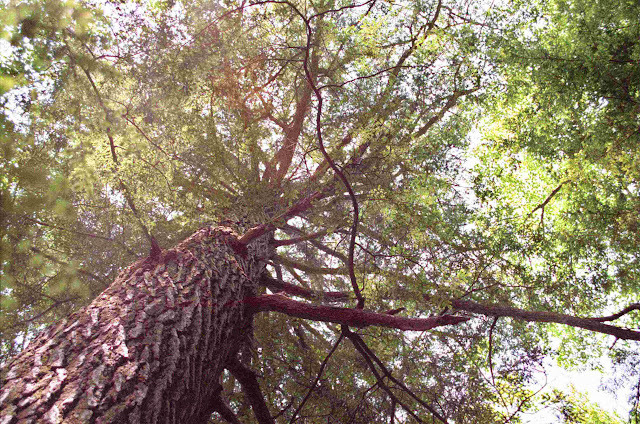 "Adopt a hemlock" programs are increasingly common in the south, where individuals can adopt a hemlock and in doing so, provide the financial means to keep that one particular tree alive. The adelgid is in NY, and is beginning to become a problem in the Hudson Valley. There is some thought that the Adirondacks are too cold for the adelgid to survive, but it is impossible at this point to predict what influence climate change will have. Last edited by DSettahr; 02-02-2015 at 12:37 PM..
Last July the ADK along with the Adirondack Park Invasive Plant Program (APIPP), NYS Office of Parks Recreation and Historic Preservation (OPRHP), and Cornell University hosted a day-long training workshop for anyone interested in monitoring a section of hemlock forest for the presence of the hemlock woolly adelgid. So far my assigned area in and near the western Adirondacks is clear, but that is probably only temporary. I don't know if there is another workshop session scheduled for 2015, but you might contact Cathy at the ADK email listed in the link above. Find more information from the DEC at the link and sublinks (click) here. Last edited by Wldrns; 02-02-2015 at 03:53 PM.. There are training sessions next weekend in Allegany and Letchworth in the western part of the state. If anyone is interested in attending, PM me and I can pass on an email address for more info. I did the training last winter and monitored sections in Allegany, and unfortunately(or fortunately depending on how you look at it) found a small infestation in a section south of Red House. Another small infestation was found near Quaker. I believe both of those areas had the affected trees removed. 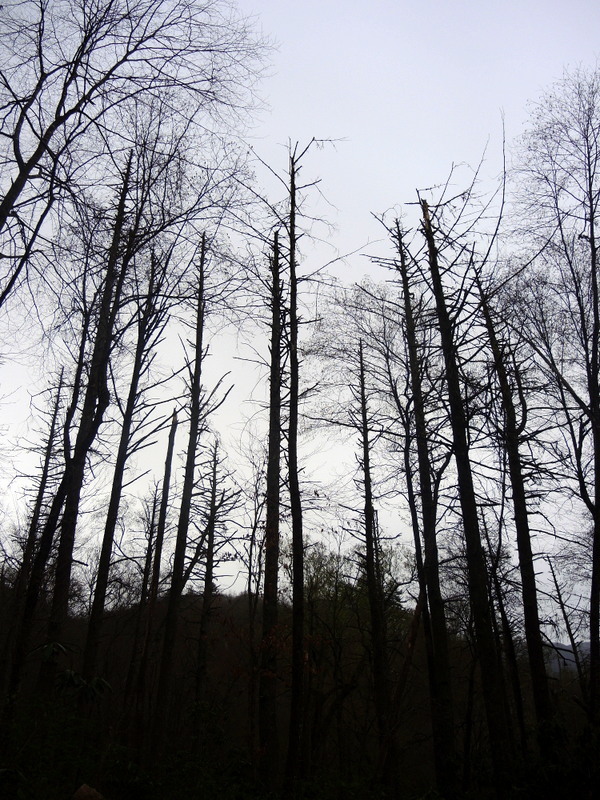 Another infestation was found in Zoar Valley and those trees are being treated. 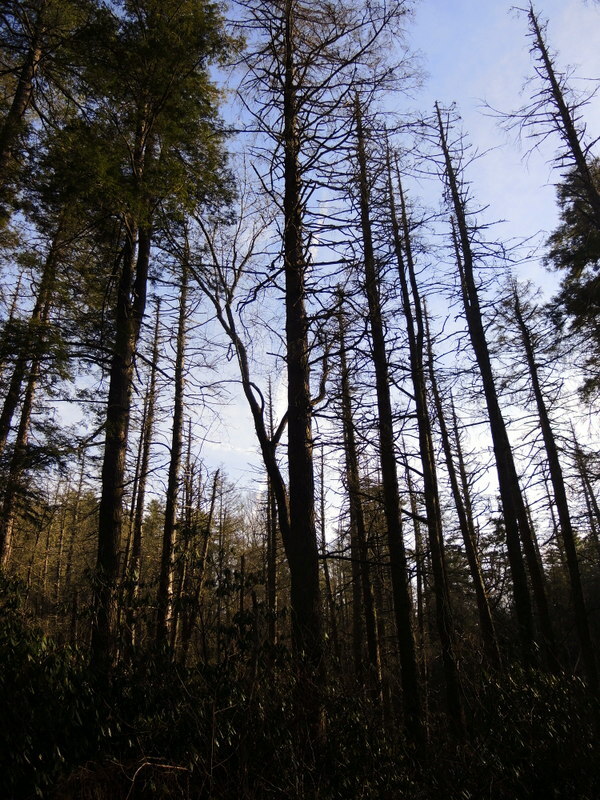 For the first time, University of Georgia researchers have successfully cryogenically frozen germplasm from hemlock trees being wiped out across the eastern U.S. by an invasive insect. 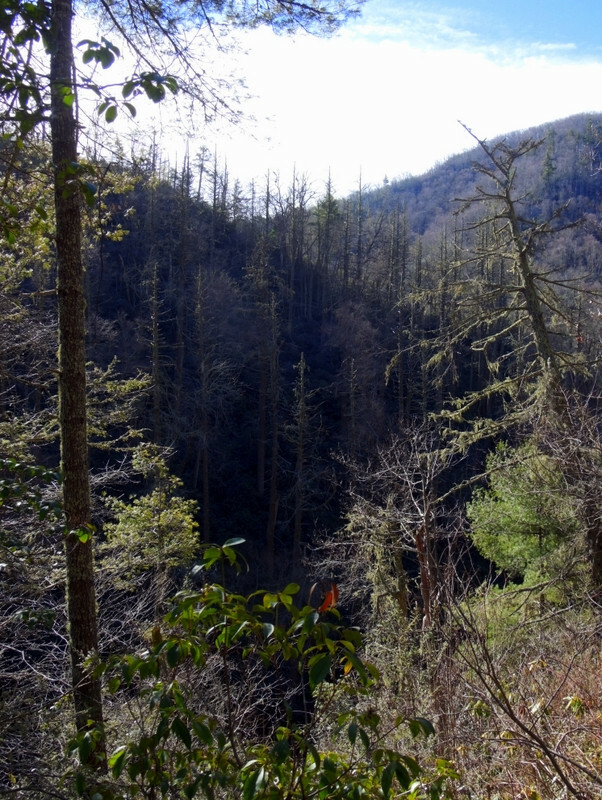 They've also unlocked a new way to clone the few hemlock trees apparently fighting off the hemlock woolly adelgid, which could potentially lead to a solution for the pest. 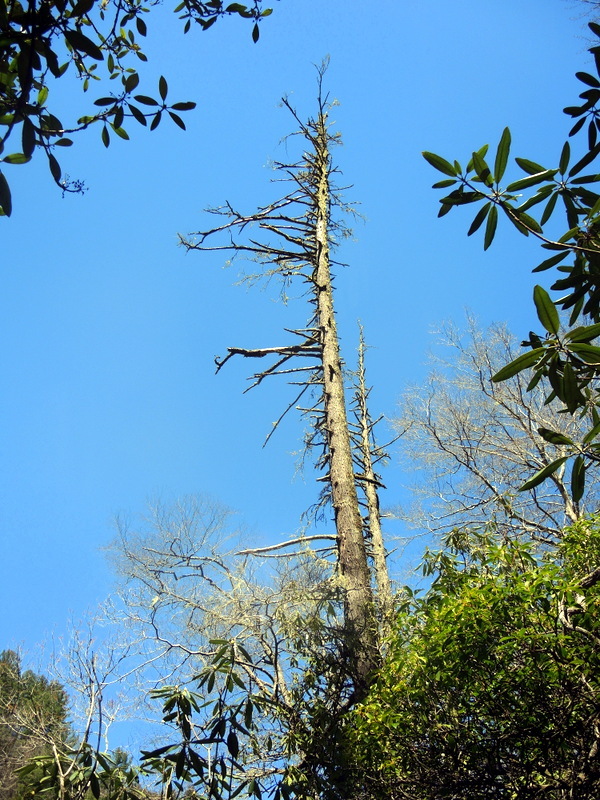 What makes me sad is that even if/when a cure is found, things have already gotten so bad in some areas (NC/TN) that it will be at least a century before there are towering hemlocks again. 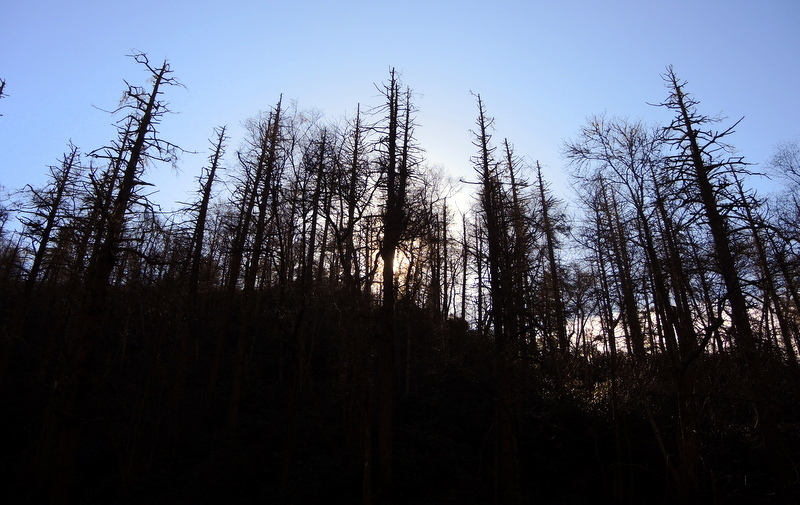 Our forest are hurting, few recognize the carnage.